Philipp rejoined TAC recently in September 2015 as a new colleague. After finishing school in 2007 in Stuttgart, he decided to start studying African Studies in Bayreuth, Germany. 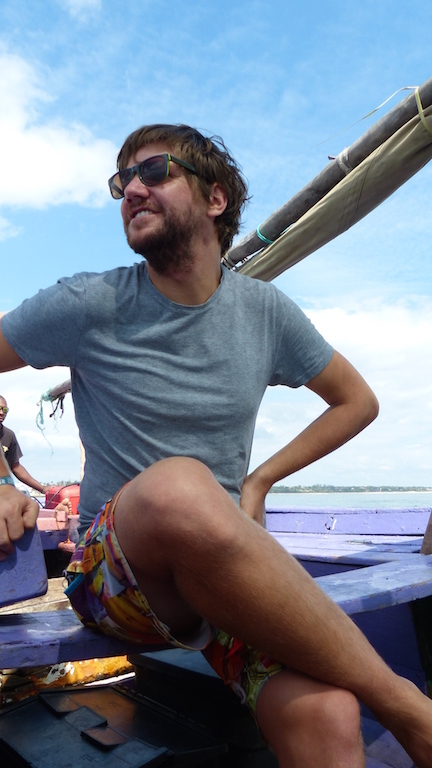 3 years later and still no idea what to do, a series of internships took him from Uganda via Berlin to Hamburg, where he finally started working in tourism in 2012. ITB 2013 was the door opener to Mozambique as he met Marcus there and, after some chatting, got the opportunity to start an internship at TAC. From July to December 2013 he stayed and worked in Tofo, afterwards he decided to go back to Germany to get a taste of the classic 9-5 life. Never losing contact to the team, when the idea came up to return to Tofo it was an easy decision to pack the bags again. Being back in Tofo is a big opportunity and just being able to jump in the ocean after a day of work, spend the day in a stunning environment and working in a great team are the best that could have happened right now.